Let ‘em all know you have the hottest rhythms around! 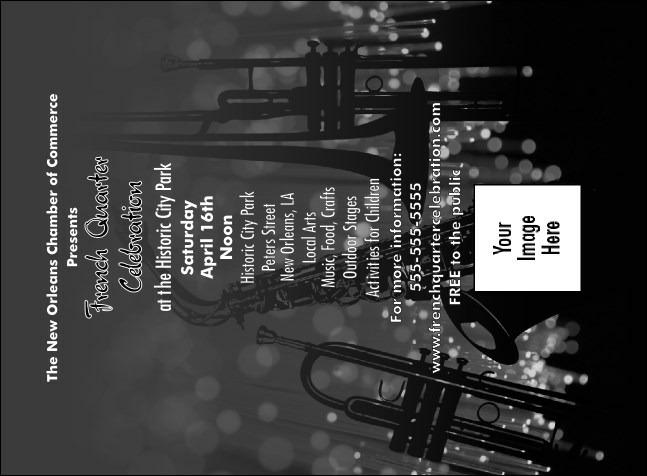 Printed in black and white, the Jazz Concert Invitation is an invaluable way to promote your jazz or blues concert. As classy and cool as the sounds that inspired it, the design template features brass instruments and room for a custom image upload. For designs as versatile as jazz itself check out all the promotional materials available at TicketPrinting.com.